It’s easy to determine if you qualify for a reverse mortgage. You must be at least 62 years or older. You must reside in the home as your primary residence. Have sufficient equity in your home. You will not be required to make a mortgage payment to your reverse mortgage in order to qualify to live in your home as long as it is your primary residence. You will still be responsible for property taxes, insurance and repairs to the home. People with or without a current mortgage can qualify. Reverse mortgages are insured by the Federal Housing Administration (FHA) and are called Home Equity Conversion Mortgages (HECMs). In the good ol’ days, HECM loans did not require much income or asset documentation, nor did underwriters require explanations or proof of resolution for most derogatory credit issues. Initially, this makes perfect sense. Income and credit are determining criteria for loans where people are obligated to make payments. But everyone knows that with a Reverse Mortgage, the homeowner doesn’t need to make payments (and in many cases they actually receive money on a monthly basis). Who cares if people have little monthly income?! Who cares if they are late on their credit card payments?! The Reverse Mortgage will help them get their finances back on track and they can’t mess up a Reverse Mortgage… Right? Because of this inherent laxness of rules, unfortunately there were homeowners foreclosed upon while still living in the home. Remember, there are a few “Golden Rules” that must be satisfied; one of them is that you must pay your property taxes and insurance. By far, the biggest reason a homeowner is foreclosed upon while they have a HECM is that they did not pay their property tax. This should not come as a surprise, but if a person owns their home free and clear and they don’t pay their taxes, they will be foreclosed upon, not by a bank, but by the county to whom they owe property tax. Why a person who has a Reverse Mortgage wouldn’t pay their property tax confuses me. If the HECM was used to pay off a Conventional Mortgage, then the senior has less debt and should be able to afford their taxes. If they own the home free and clear and they have a HECM, they should have access to funds that could be used to pay the taxes. If I had to guess, it is because of the poor counsel they received from their loan officer. Regardless of the reason, some homeowners use all the proceeds from the HECM and they do not have the savings or the discipline to pay their obligation to the local government. Let me assure you, Lenders want the earned interest, NOT the real estate asset itself. This is worth repeating… Neither lenders nor HUD want to be property owners or landlords. Due to agreements with HUD, lenders must foreclose on a property before the property is taken over by the local government due to non-payment of property tax. So, in order to reduce the foreclosure rate, HUD implemented a process known in the industry as “Financial Assessment” on April 27, 2015. The implementation of Financial Assessment now makes it necessary for all HECM applications to include documentation of the borrower’s income and assets. Additionally, a review of the applicant’s credit history is performed by the Underwriter upon receipt of the application package. Many of us in the industry have mixed emotions about Financial Assessment. On an individual level, we are disappointed that we now must decline the HECM opportunity to people who are in need but do not have the needed income or credit worthiness to qualify. In the past, I’ve found it rewarding to make loans to people in such circumstances, knowing that I was able to solve their financial problem. However, for the health of the industry and having confidence that HUD will continue the HECM program for future qualified borrowers, I do appreciate the need to restrict entrance. It has been estimated that about 10% of people who are interested in the HECM program will be disqualified because of Financial Assessment. BUT there is a solution for some homeowners that do not meet the assessment. The LESA is described below. For the purpose of the Financial Assessment, FHA has established four regional Household Residual Income Levels that the applicant must meet or exceed in order to be eligible. These levels are determined not only by the region of the country, but also by the number of people living under the roof of the subject property. Though the income levels are subject to change, any professional has access to the most updated chart and can advise a client of their eligibility. The Financial Assessment performed by the underwriter is designed to assess the applicant’s ability to consistently pay their property taxes and homeowner’s insurance. We’ve already discussed that some people simply will not qualify. However, in order to maximize the number of people who do qualify, a portion of the HECM applicant’s available funds can be withheld as a partial or fully-funded Life Expectancy Set-Aside (LESA; pron: lee-sah). The LESA is a predetermined amount of money to cover the payment of the homeowner’s property taxes and hazard insurance for HUD’s estimation of the remainder of a borrower’s life. Your loan originator will obtain verification from the county and your insurance agent that tax and insurance payments have been current for the preceding 24 months prior to the application. Based on information given by the client and the credit report, your lender will calculate an amount to be set-aside for the LESA (if any). Regularly, an underwriter will make a different determination (to the benefit of the consumer) based upon the financial information, credit history and other “Compensating Factors”. A Compensating Factor gives underwriters the authority to make a common sense decision. For example, a person’s monthly income may be too low to qualify, but the fact that she has a nest-egg in savings can offset the lack of sufficient income. More about this topic below. If the underwriter requires a “fully-funded LESA”, it means that an amount will be set-aside equal to the annual amount of property taxes and hazard insurance multiplied by the number of years of life expectancy calculated for the borrower. The payment of taxes and insurance for a homeowner with a fully-funded LESA is handled by the lender or loan servicer. However, if the asset, income or credit deficiencies are less severe, the underwriter may require a “partially-funded LESA”. This will be equal to a partial amount of the taxes and insurance to be paid out during the expected lifetime of the borrower. In the case of a partially-funded LESA, the homeowner is still responsible for paying their own taxes and insurance and a portion of the set-aside funds is disbursed directly to them by the lender semi-annually. In either case, if the homeowner outlives the amount of money set-aside, they are still obligated to pay the taxes and insurance using their other resources. Applicants with significant existing liens and mortgages to be paid off may find that the imposition of a LESA actually necessitates their bringing funds to closing. An appraised value of the subject property significantly lower than the homeowner had predicted may also have this effect. If the borrower does not have sufficient funds to cover this overage or is unable to receive the funds in the form of a gift from a family member or friend, the HECM loan will be declined. But such situations are the exception, not the rule. LESAs are not a bad idea for many. If fact, some people may choose to have a LESA established even when it is not required by an Underwriter. So don’t think of a LESA as an expense or as money that is taken away from you. An established LESA is simply a savings account that will be used for an existing and ongoing expense and may provide you with peace of mind. If mortgage late payments or other derogatory items on an applicant’s credit report were due to circumstances beyond their control (such as the unexpected death of a spouse, sudden illness or injury, etc. ), it can be helpful for the applicant to draft a Letter of Explanation to be sent to the Underwriter detailing the extenuating circumstances. The underwriter will review the applicant’s past deficiencies or derogatory credit items with this explanation in mind. If it is deemed that the timing of the applicant’s late payments or collection accounts coincides with the timeline of events described in the explanation letter, the underwriter may waive the LESA requirement. If an applicant’s income falls below the Household Residual Income Level for the region in which they live, certain “Compensating Factors” could still make HECM eligibility possible. For instance, an applicant’s access to revolving credit (credit cards) or other resources that enhance their ability to weather a financial crisis may be considered an acceptable Compensating Factor. Also, if the applicant will be receiving a pension or Social Security benefits in the next 12 months, they may still qualify even if their current residual income falls below the region’s specified level. If an adult child lives in the home, any income they earn can contribute to the household and will be taken into consideration. There are too many situations to detail and every transaction is unique. You and your Reverse Mortgage Professional may have other ideas, so be open with them. Don’t be surprised if they ask questions that may not seem relevant; they’re simply exploring options that may benefit you. New Mexico is a Community Property state, meaning that property acquired during a marriage is jointly owned by both spouses. 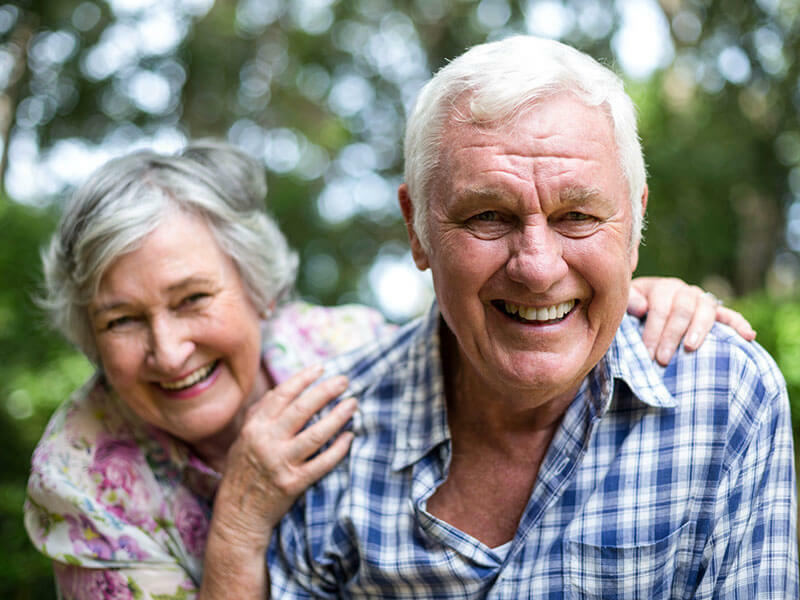 It is not uncommon for a married HECM applicant to be the sole party named on the loan, either because one spouse has not reached the minimum age of 62 or for a variety of other reasons. Credit may also be pulled for the Non-Borrowing Spouse and a Financial Assessment completed. Some applicants do not have enough open trade lines for the 3 major credit bureaus to generate a score. In conventional mortgages, such a situation demands that the lender generate a “Non-Traditional Credit Score” for the client based upon documentation indicating timely payment of utility bills, rent and other regular expenses that do not generally factor into a person’s credit score. Fortunately, this is not the case for most HECM’s. The only Reverse Mortgages that require a Non-Traditional Credit Score to be generated for borrowers with insufficient credit histories are HECM for Purchase loans. For all other HECM transactions, no credit or insufficient credit is considered an acceptable credit history. In conclusion, unless you are in the 10% of people declined, Financial Assessment will not impact you negatively. Yes, you will need to provide additional documentation that applicants prior to April 27, 2015 did not need to provide. But once you understand the reasons behind Financial Assessment, the inconvenience of your needing to supply the lender with any extra documentation should be offset by having the knowledge that the program is still in strong standing and will exist for others (like your children) to enjoy in the future.